A part of the church is still standing and is used as a family burying ground. The churchyard is also still used for burials. There is still a 'burying-place' where Logiebride Church stood. The church was still in use for public worship within living memory. The parish church of Logiebride, dedicated to St Bride, still stands roofless in its churchyard. The parishes of Auchtergaven and Logiebride were united in 1618, severed in 1632 and re-united in 1647. 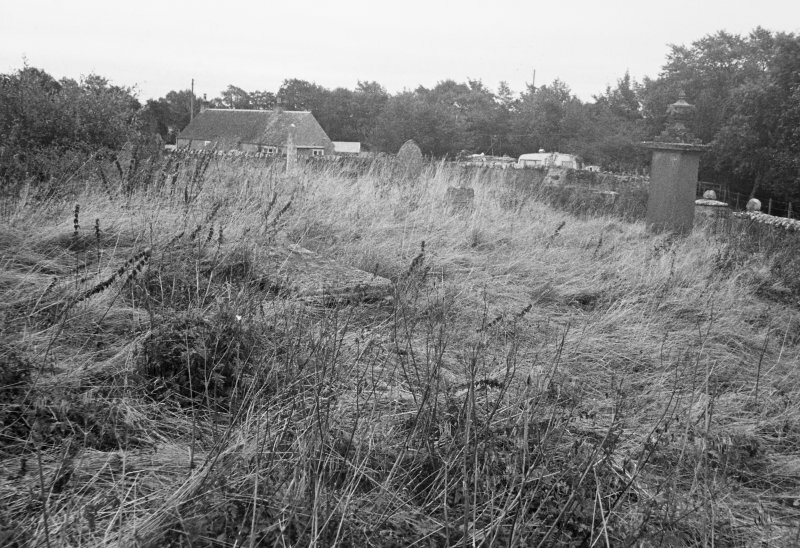 There are no structural remains of either church or mausoleum to be seen but there is a rectangular turf-covered outline on top of a raised area at the centre of the graveyard which meaures c.10.2m x 4.8m.